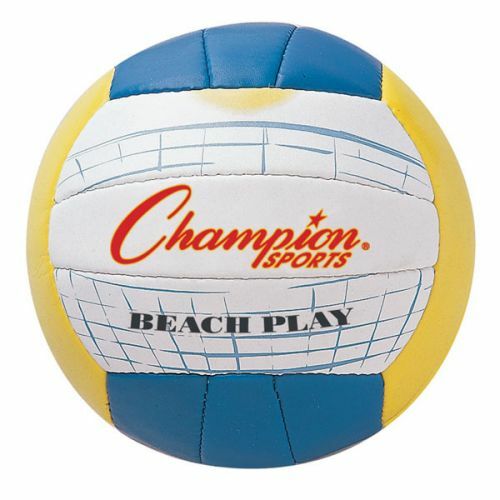 Serve, spike and slam with the Champion Sports Beach Play Volleyball! This official size and weight ball features a multi-colored synthetic leather cover, with a 2-ply butyl bladder. This ball is ideal for beach and outdoor play.